A literally brilliant campervan based on the new T6 Volkswagen. Even three decades or so ago the Volkswagen Kombi was an icon in the world of campervans and for many was the vehicle of choice when it came to travelling. That has changed somewhat and to some extent Volkswagen campervans – and campervans generally – are looked down upon by those travelling in larger and more luxurious vehicles. However, theres much to be said for the lightweight travel capability and manoeuvrability of VW vans, especially for those who are still working and desire both an around town vehicle and weekend escape machine. There are also those who desire to recapture their younger years and something like a VW camper van is a great way of doing that. One of the legend of the VW was that it was a go-anywhere vehicle. Many an off-road enthusiast has been chagrined after negotiating a rough bush track to their favourite campsite, only to find a Kombi already there. Adding to the capability of the Transporter has been VW’s 4Motion (AWD) feature, which is great for negotiating anything from wet and muddy suburban sports fields to snow covered alpine roads. 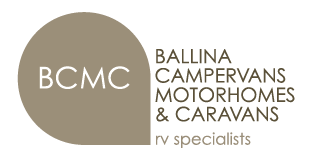 BCMC are the sole distributors of Frontline Vehicles from north of Newcastle, NSW and cover all of Queensland.